Contemporary tall touch dimmable table lamp complete with ribbed white fabric shade. Finished in antique brass style metal with clear glass mould. This lamp requires 1 x 40 watt ES (E27) bulb - not included. 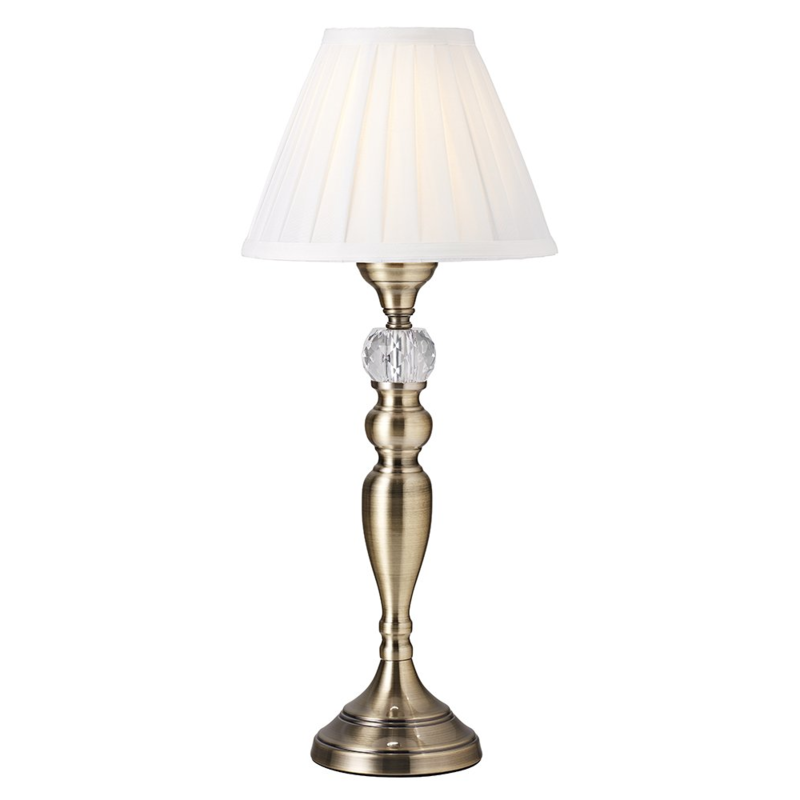 The dimensions of this lamp are - Height: 49cm, Diameter: 21cm.